When Will K. from the Chicago area renewed his USA Fencing membership recently, he took his investment one step further and checked out the offers and opportunities with Nationwide®, an official insurance provider of USA Fencing. "Just before renewing my USA Fencing membership in August, I got my auto insurance renewal, too, and it was another increase in the premium," Will said. "As a benefit of renewing my Supporting membership with USA Fencing, I was able to participate in Nationwide's USA Fencing member discount and immediately saved $40 a month on my auto insurance. My passion for fencing and renewing my membership allowed me to save $480 a year! I added my home insurance and saved some more." "I'd encourage every USA Fencing member to get an insurance quote with Nationwide to start saving money today." Will continued. "They have agents located all over the United States. My agent went out of her way to make sure I got the coverages I needed at the best possible price." USA Fencing's Director of Member Services, Bob Bodor, was pleased to learn Will's story but not surprised. "We are always working to forge partner alliances that will add benefits to being a member of USA Fencing. 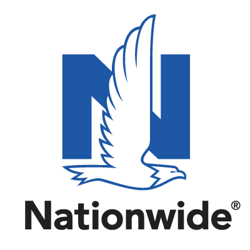 Welcoming Nationwide to our USA Fencing family just a couple of years ago has paid dividends like this to many of our members. I'm glad to hear fencers and fans are taking advantage," Bodor said. "I hope others will look into this as well." "Our program with USA Fencing offers a great benefit to USA Fencing members. Members will not only get great service from Nationwide, they may be eligible for a special discount, just for being a USA Fencing member. And when they purchase a policy through Nationwide, it helps to support USA Fencing and the sport that they love," said Nationwide Relationship Manager Justin Beller. "It's a win-win for everyone."